Don attended Mt. Pleasant High School, then joined the Army Reserves. There he worked as a master mechanic, and later went on to create the tourist attraction The Gold King Mine in Jerome. 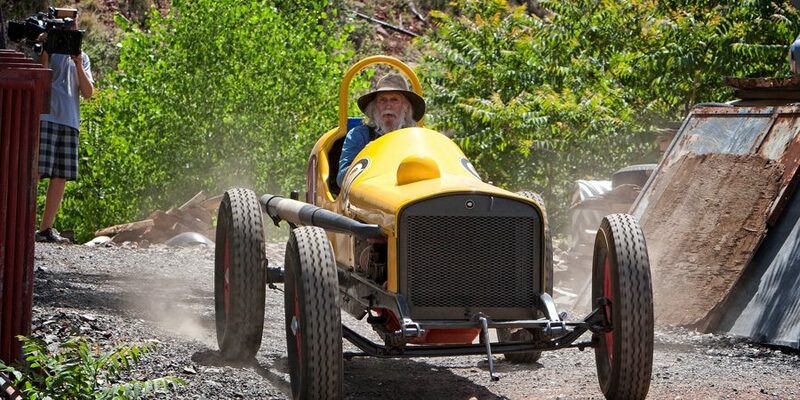 Don loved antique trucks, motors, cars, motorcycles, racing and a passion for vintage transportation. He was proud of his establishment. Don was preceded in death by his wife Terry Ann Robertson, mother Marilyn Pitzer and brother Tom Robertson. He is survived by son Dale Robertson of Young, AZ; daughters Angie Wagner of Chandler, Jeannie Leffew of Flagstaff and Anna Cole of Cottonwood; brother Tony Pitzer (Monica) of Apache Junction; sister Bonnie Keeton (Gary) of Iowa; 14 grandchildren and 4 great-grandchildren. Further details will be posted in future notices. 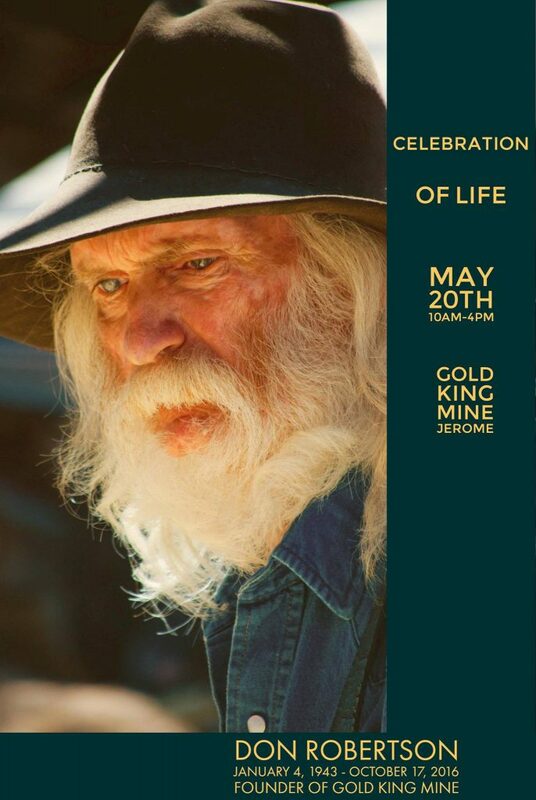 At this present time, a memorial site is set up in the parking lot of the Gold King Mine with one of Don’s trucks. To get to the Gold King Mine, drive past the fire department in Jerome and drive ¾ of a mile on Perkinsville Road. The Gold King Mine is located at 1000 Perkinsville Road. 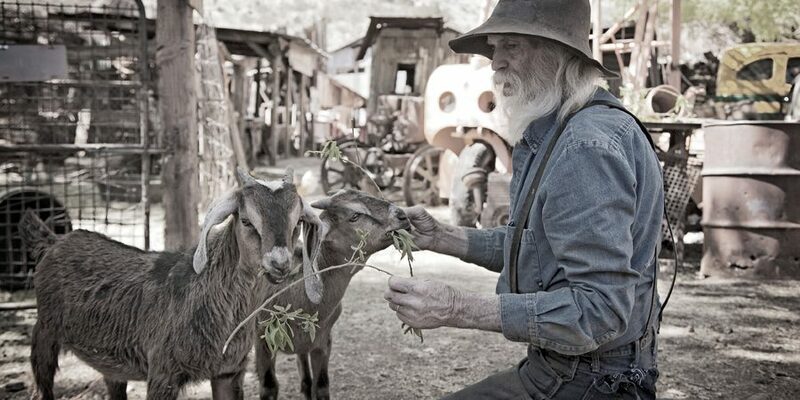 Don Robertson, 73, may not be the King of Jerome, but he does live in his own little kingdom atop the tiny historic mining town. 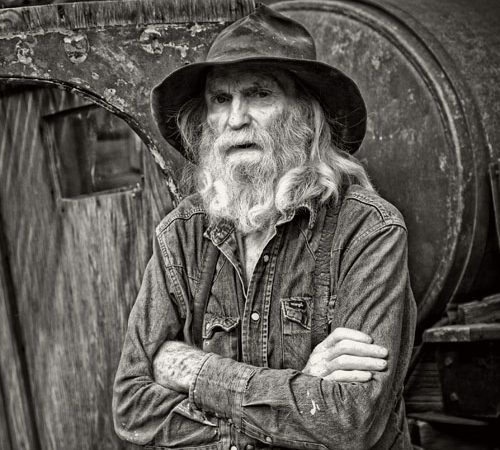 Robertson is the owner of the Gold King Mine and Ghost Town which sits about a mile above Jerome. His Kingdom started out with one building — a boarding house used by miners — and a love for engines and trucks. Robertson built his dream with two bare hands, monkey wrenches and elbow grease. Thirty years later, it has grown into “a dream come true,” explained Robertson. Build it and they will come. Haul it, fix it and grease it – and they will really come. That’s what Robertson has found out. Visitors are now flocking from all around the country and Europe to see Jerome’s keeper-of-the-gold, his carriages and his merry minstrels who work for him. From the sky, Robertson’s ghost town looks like a child’s playland with hundreds of tiny toy trucks scattered among tiny buildings in a sandlot. 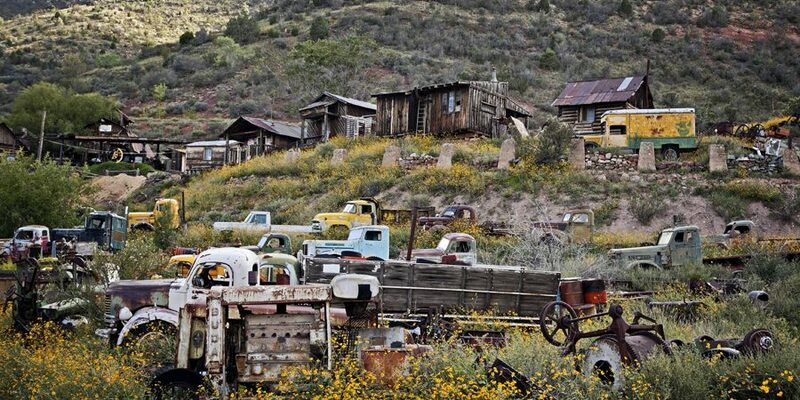 But a closer look reveals that the hundred trucks, cars, tractors, service trucks and buses lined up around the property are very real and very “rare.” Some are restored, but many are rusted have been saved from extinction and are getting a second chance at life. Most are International trucks, Fords and Studebakers that date back to 1902. One thing can be said about Robertson’s collection, “you can’t see anything like it anywhere else,” explained Mike Caruso, one of Robertson’s five employees. 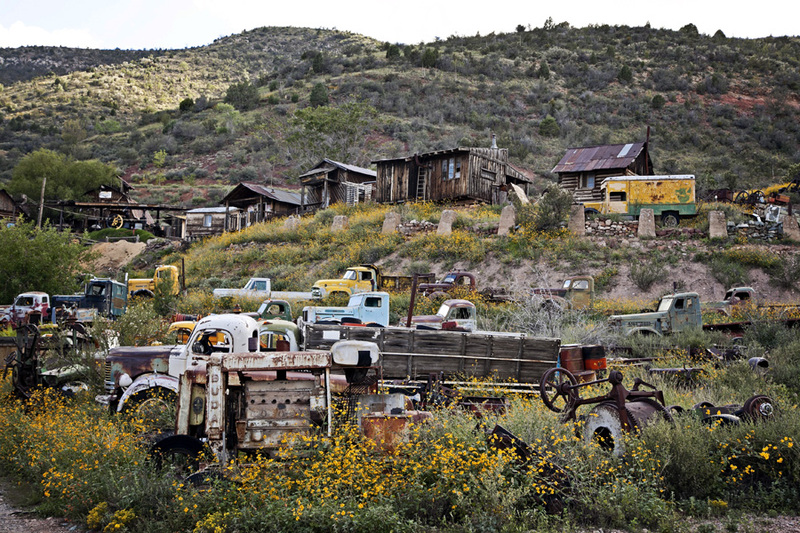 But Robertson is the one that has collected all the vehicles, hauled them to Jerome from all over the country and even had to yank them out of fields and canyons to save them. Now there are about a dozen buildings, some small sheds that Robertson has hauled to Jerome or built. One is a gas station that he hauled form Humble. mines are part of the visitors’ experience. 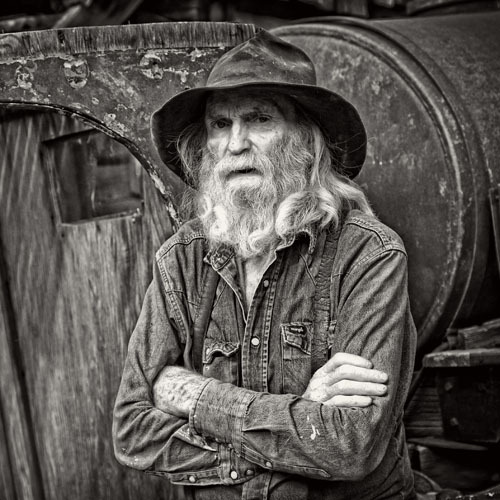 Robertson said there were a number of mines in that area and “between them they produced copper, silver and gold.” One mine at his ghost town went straight down 1,200 feet and the other mine went straight into the mountain about 100 feet, he said. He said they mined them in the early 1890s and early 1900s. Robertson said besides the gas station building that he had to haul over Mingus Mountain where it almost took up the whole road, he brought a small “country schoolhouse” from Flagstaff to the property. Robertson estimates that he has about a 100 trucks and other vehicles. He finds his vehicles all over the country, but points out “I don’t do on-line” when looking for collectables. 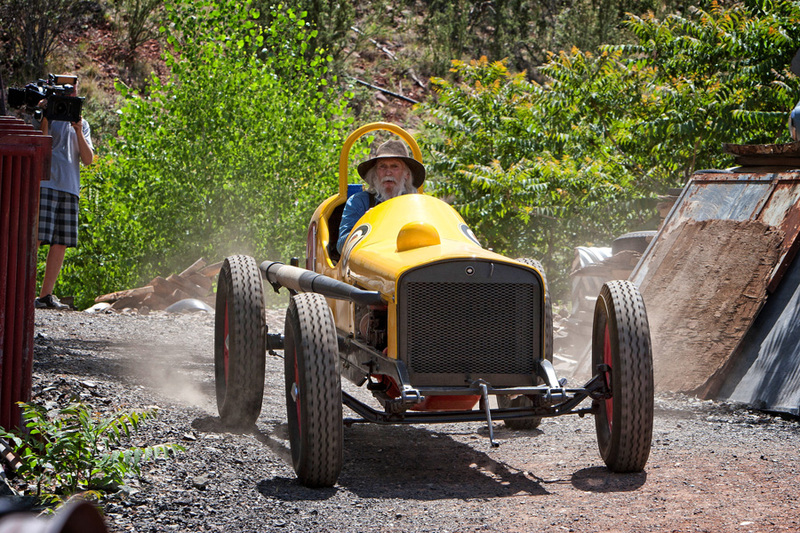 His oldest and most rare vehicle is a 1092 Studebaker Electric and is proud of his Studebaker race car that he built to Indy specs. Robertson plans on counting the number of trucks he has someday, but it’s an impossible task because something else comes up or people keep interrupting him with conversation, he said with a smile. Beyond the trucks, Robertson has sawmills and has been sawing lumber and selling boards locally. And then there is Big Bertha, a huge gas engine that Robertson rescued from a mine in Arizona. He says it’s one of the largest gas engines in the state that gear heads or anyone can start up. Video of Big Bertha and the Robertson’s ghost town are all over YouTube, explained Caruso. Gear heads all over the world see them and come visit, he added. 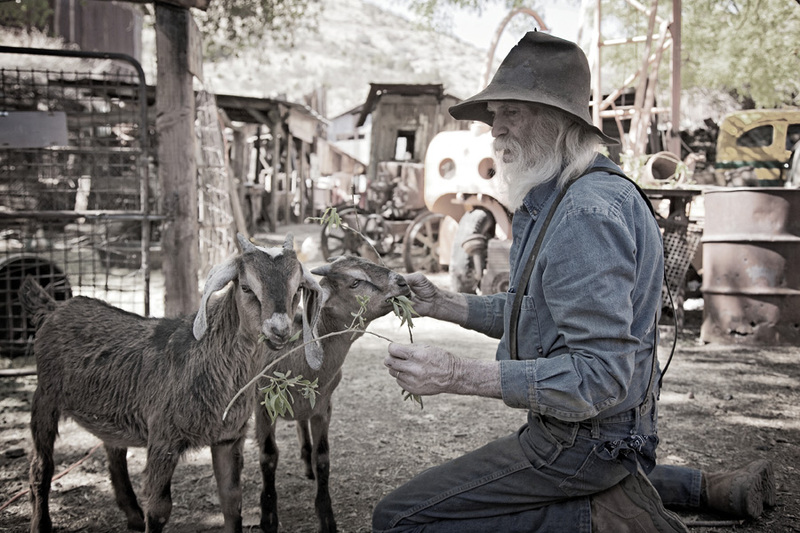 Robertson added variation for his guests with petting animals and a gold panning area. 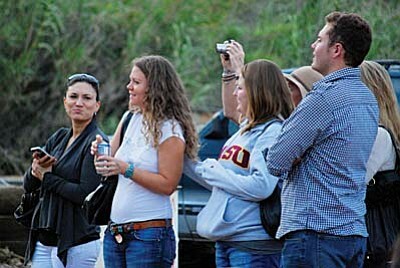 Visitors range from tourists, local residents, schoolchildren on school trips to groups of motorcyclists and gear heads. 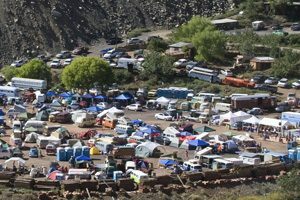 Robertson also hosts a successful Volkswagen bus-gathering each year in his parking lot and has had rock festivals there. Quite a few people have gotten married on the property because of the beautiful views of Sedona in the background, he added. “It’s a learning experience,” Robertson said of his ghost town. When kids come here, they see Big Bertha and the pistons are exposed and they learn and see how it works. Robertson says he hasn’t “had to” sell any vehicles. Well you can watch Robertson at his ghost town or look for him at the Jerome Fourth of July Parade when he drives his race car down from his Kingdom. The diversity of items at the Gold King Mine can be mind boggling. If you are a photographer, this can easily be an all day excursion. If you enjoy old buildings, wood, rust, cars, trucks, mining equipment, old saw mills powered by a large hit and miss engine, then this is the place you want to be! Revolution Slider Error: Slider with alias things-to-see not found. A road crew from Arizona Highways visited the Gold King Mine to film a segment. Here are a few images from that day, June 7, 2010.